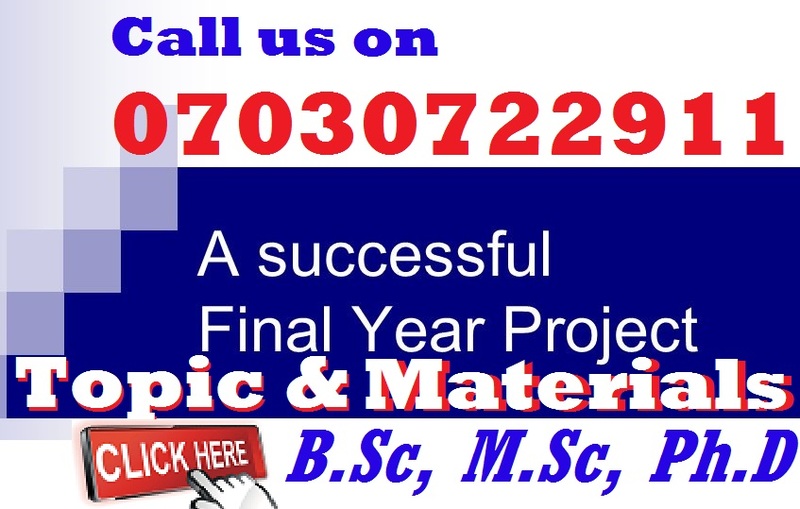 For best results Martins Library advises that you take sufficient time to find out the information needed to complete the forms given to you by the investor. You need to prepare before writing a business plan or proposal that will convince the investor give you the loan or grant. Do not just make it up or write what you think other people want to hear. Throughout the guide we have written below, there are prompts on the type of background information required to support the development of your business idea. 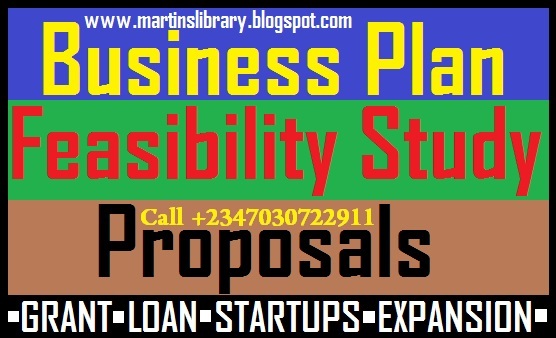 Please note that this document is a planning guide only, it is designed to assist you to start the process of developing your business idea for an investor to see. You should be aware that after you have completed you business plan (document), it is supposed to be is accorded “Commercial In Confidence” status by your company or the investor. ELIGIBILITY CHECKLIST FOR LOANS AND GRANT IN NIGERIA. To participate in grant programmes, you must: Be 18 years or older. Your proposed business venture must be within the national borders of the country (Nigeria), and with the intention of employing Nigerian citizens. Not have received assistance in the previous 2 years. Before answering any question concerning your business idea, you have to be conversant of the business so that you can answer all the questions accurately. The following questions below are designed to assist you in the development of your business idea, your vision for the future of the business and to detail the expertise that you bring to your new business venture. What are your reasons for wanting to start your own small business? What are your objectives for your business over the next twelve months? What are your objectives for your business over the following two years? List all the products and/ or services that you plan to provide at the commencement of the business. List all the products and/ or services that you plan to provide in the future. Who else will be employed by the business immediately? Who else will be employed by the business in the future? CAPITAL REQUIREMENTS: This section will help you to calculate the amount of money you need to get your business underway. It also looks at your ability to gain finances and whom you will approach if finance is necessary. List all the equipment that you will need for the business, eg: Plant and equipment, fittings, tools, office furniture, computer equipment. What are your Start Up Expenses? - In this section, you will need to explain all expenses that you will incur during the startup of the business. The expenses should include the raw materials and goods you need to buy, the cost of transportation to take it to the productions site, store house or the business premises, the electricity requirement, water source, insurance, business registration (if applicable) and every miscellaneous that is involved in the business. What finance do you need to raise now? How do you intend to raise the Finance? This should include the Pricing of your commodities and products. You should explain how you calculated the cost of producing your product/service and Turnover. You are also expected to expected turnover in the 1st to 3rd year – Never fail to show your workings so that the investors can know how did you calculate the income and turn over? Complete the following checklists of projected business expenses for the first 12 months of operation of your business. .
What are your current monthly financial commitments? After writing all that, you will have to list any current mortgages, personal loans, hire purchase, leasing other commitments you hold. You also need to workout the Financial Type of loan Repayment Period of the loan. Some cases, it is done by Institution per month and some cases, per year. 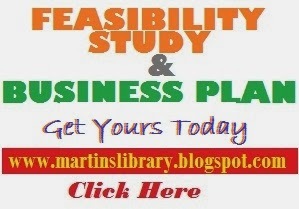 This is a very important aspect of the proposal, business plan or feasibility study. Market research involves collecting information about your market segment – where they live, what their income is, what they spend their income on – anything about them that will help you ensure your product is attractive to them. Talking to your “target market” (i.e. people you believe will use/buy your product or service). Talking to people who have specialist knowledge of the industry you are entering. Sourcing written material specific to your area of interest. Gathering statistical data relevant to your area of interest. Prepare your questions before you approach people. To find out about your target market you must be prepared to ask “hard questions” or exploratory questions that will give you a sound understanding of your target market, how they think and what will appeal to them. To ensure that the information gathered is relevant, select people who have detailed knowledge and experience in the industry sector you propose to enter. Ask targeted questions, designed to provide realistic feedback on your business idea. Accordingly questions should be framed to draw information on the positives and negatives of the industry sector you propose entering. For a business to be successful there must be enough people who want to buy your product or service. You also need to ensure your product or service is accessible to the people who may want to buy it. It has to be available in the right places in the right quantities and presented in a way that will be attractive to your customer. The people you are aiming your product at are your “target market” or “market segment”. Why would you choose this product/service? How would describe most people who buy this product/service? Where would you look to find this product/service? What would you expect to pay for this product/service? How often would you buy this product? Summarize the information collected during this consultation. Why will your prospective clients use your product or service? Will you sell your product to the wholesale or retail market? Who will the wholesaler sell to? Will you sell locally, regionally, statewide, nationally or internationally? How will you deliver your product to the point of sale? What can you do better/differently? How does your business address unsatisfied market need? Look in the phone book and/or local paper and talk to other people in the service or industry to find out who provides the best service delivery or has the best equipment and follow up service. Consider terms, discounts, delivery time, maintenance contracts, second hand goods etc. Where will you obtain the equipment for your business? Do you intend to buy, lease, hire purchase or rent the equipment for your business? Explain all this in your form in details. When considering which supplier you will obtain your stock from, you need to first find out the reliability of that supplier, the credit terms they provide, the type and quality of the stock they distribute, the consistency of supply, what follow up support and technical advice they provide. What stock will you purchase on a regular basis? Try your best to be specific here. Business Name registration (Provide details or evidence of research undertaken on requirements). ABN/GST Registration (Provide details or evidence of research undertaken on requirements). The Business Licensing Information Service & Small Business Victoria can provide information on many things for Small Business. You also need to check with your local council to make sure you comply with any regulations they may have. What essential licences/permits do you need to operate your business? (Provide details or evidence of research undertaken on requirements). Insurance requirements (Provide details of Quote obtained or evidence of investigation undertaken on Requirements). Business are expected to have insurance coverage appropriate to the Business and the industry. Such insurance should be what a reasonable, informed, person would consider appropriate for the business. Appropriate insurance for the business and industry should be determined during the training and incorporated in the prospective participant’s final Business Plan. Proposed Premises – Home based or Commercial Premises. Location. What Small Business experience do you have? List the skills you need to operate this business. What skills do you have now that will allow you to produce your proposed product or provide your service? What skills do you need to gain to further develop your product or provide your service? We recommend that you attach your current resume and relevant qualifications. 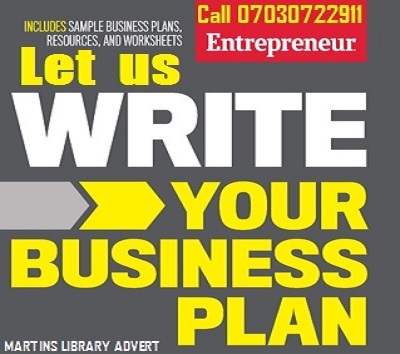 We can help you write a business plan and feasibility for either a small, medium or large scale on any business. You can use the business plan to get a grant or loan from a bank with or without collateral because it will contain all the financial models and balance sheet required by banks. You have to choose the one you need. We don't send customer's already written business plan and feasibility study because the study and price quotes might not tally with the states you intend to establish or run the business. Again we don't give out business plans we have written for other companies, instead we write a new one with your own business name. It will take us 7-14 working days to complete the business plan for you.